The Magic’s Yours Travel Agency–With Our Help, Start Planning the Perfect Disney Trip! We are a Disney exclusive travel agency because we believe Disney is the ultimate vacation. With their incredible attention to detail, amazing entertainment, and activities for every age, at Disney your dreams will come true. Disney trips are about bringing friends and family together with no interruptions or schedules, letting your hair down, and experiencing childhood excitement and magic all over again. Start your dream vacation by contacting us today! We know Disney inside and out and we will make sure every detail is perfect, exactly the way you imagine it! Sit back and relax and let us get to work. I first visited Walt Disney World in 1992. I was intrigued by the excellence of service to the clientele and execution of the shows, dining and all things Disney. Then in 2005 a family member became a cast member at Disney. As I planned 2 family vacations, during this time period, for travel parties of 20+ people I realized that I discovered something magical and imaginative that excites me every time I’m involved with it. I enjoy hearing your ideas of a Disney Experience and transforming them into Magical Moments and Life Long Memories. Disney has something for everyone, whether it is a Cruise on the new Disney Dream Cruise Liner, your favorite Disney character, one of 24 themed resorts or being able to dine in a different country every evening of your stay. I will assist in planning your vacation as if I were going with you. 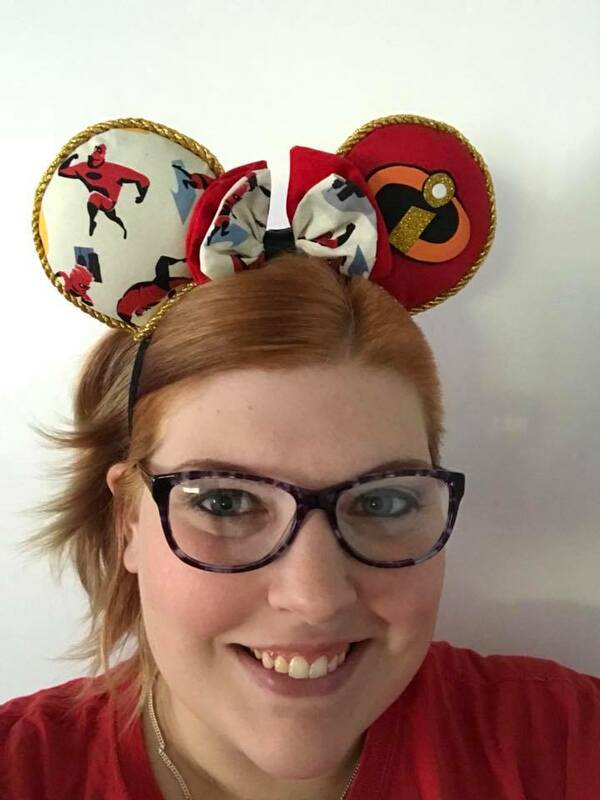 I am a graduate of the Disney College of knowledge; I am excited about all things Disney and am excited to hear from you! Email me today or Call me at: 717-634-7099. Hello friends! My name is Becky Ebberts and I’m excited to be part of The Magic’s Yours Travel Team! My Family became fans of Disney the moment we stepped foot into Magic Kingdom for the 1st time….and now I’m a little OBSESSED!! Each trip has been unique in itself and each more Magical than the last. I enjoy planning our family vacations and am excited to assist with yours as well. I am a believer in following your Dreams and making them come true. 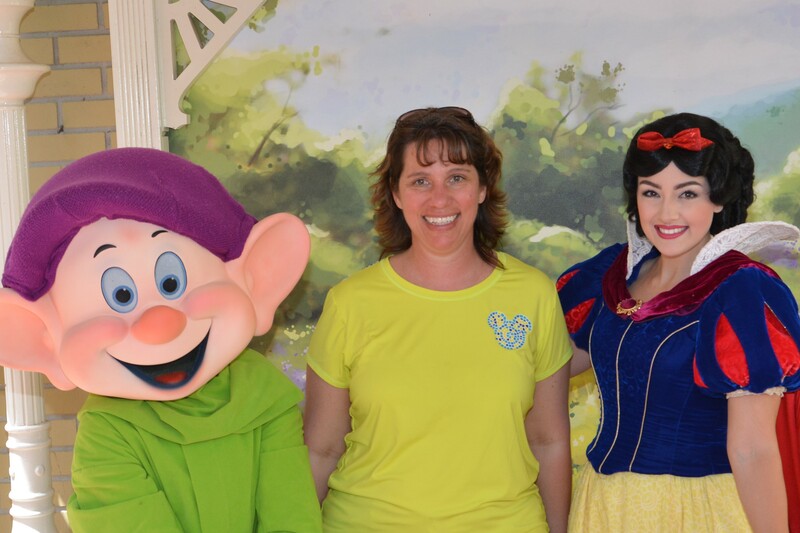 So…let me help your Dreams Come True and let’s plan your MAGICAL vacation!!! After several years of planning my family’s vacation, I realized that every time it was hands down Disney. With entertainment for children of all ages, what better choice than to vacation at Disney? My mom always enjoys the shows, the children, the rides, characters and princesses and myself every little bit. One of my favorites parts is the vast number of restaurants I can choose and the dining plans. I truly enjoy assisting my friends and Disney family (clients) with their thoughts of magical moments. Please contact me if I may be permitted to assist you and yours with an experience of imagination. My first visit to Walt Disney World was nearly 30 years ago and since then, I have returned more than 25 times. I’ve stayed in 15 different resorts and eaten at more than 120 different restaurants between Walt Disney World and Disneyland. I’ve been to Disney World during every season and every special event. I can give you firsthand knowledge of all eight U.S. parks, Disney Cruise Line, Adventures by Disney, and Disneyland Paris. 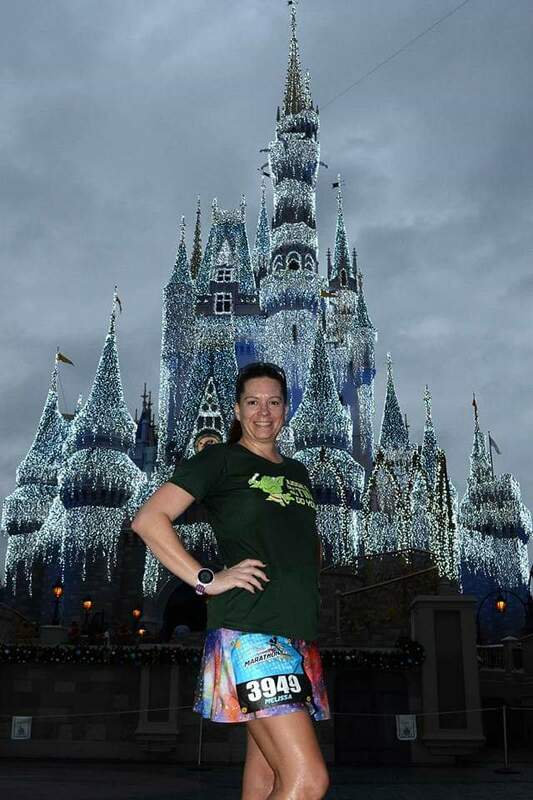 I’ve also participated in runDisney events and I’ve coordinated travel for more than 120 families, including a group of more than 100 guests. 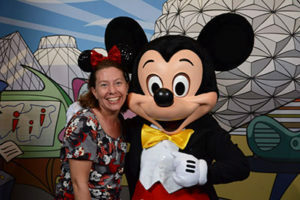 I am a College of Disney Knowledge graduate, so I have all of the latest information and tools at my disposal to help you plan you trip to any of our fabulous Disney destinations. My favorite thing about traveling with Disney is the attention to detail that the Walt Disney Company brings to every single aspect of your trip. Disney occupies 9 out of the top 10 spots for most visited theme parks in the world and the reason is the quality and the personal service that they bring to the table. Don’t take my word for it—see the Disney difference for yourself! If Disney travel isn’t your style, I can also plan a great vacation for your family to Universal Orlando, on the high seas with any of our cruise line partners, or on a guided journey to literally any destination in the world! To travel is to live–let’s get out there! Hello! My name is Amy Zentgraf and I love all things Disney. 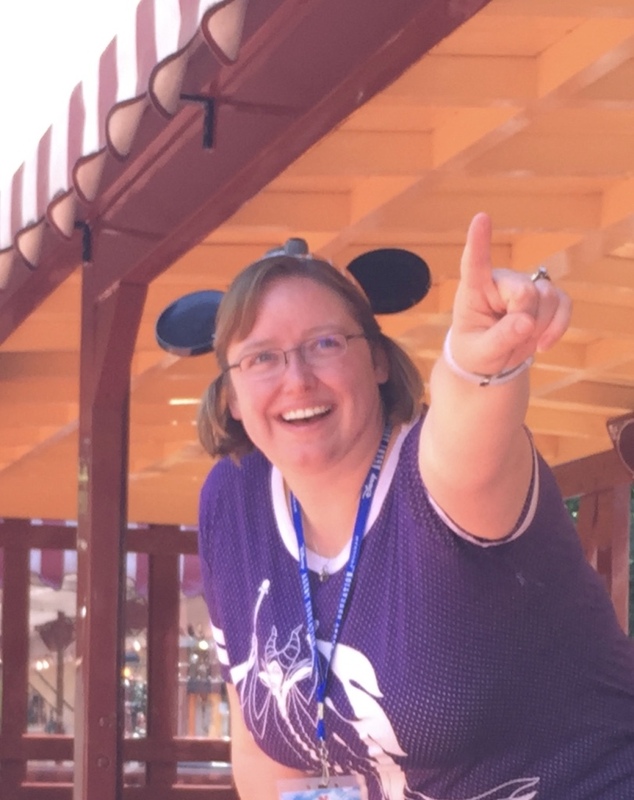 I am a graduate of the College of Disney Knowledge and I have an innate love of planning Disney trips. From your resort search, to advanced dinning reservations, to grabbing those most desired fast passes. I will be there to assist you and your family every step of the way. My goal is to make your Disney vacation as magical as the ones I plan for my own family!! Hi friends! We are Ryan and Amanda Marriott. We both fell in love with Disney at very young ages and have made numerous trips to visit the happiest place on earth. We both took our first trips to Disney more than 25 years ago. 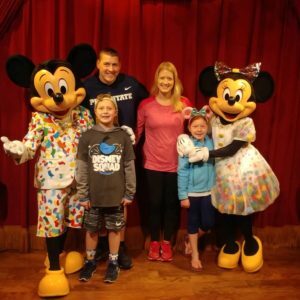 Since then, we have not only planned our own trips to Disney, but we have helped many friends and family members plan their Disney vacations based on their individual desires. We are both College of Disney Knowledge graduates, so we have all of the latest information and tools to help you plan your trip to any Disney destination. We look forward to working with you, our newest family member, and assisting your family with all your Disney travel needs. Growing up in South Florida I fondly remember my family trips to Disney. Whether it was a short one day park visit, a long weekend surprise, or a week long explore everything Disney has to offer adventure, every trip was special and created a trove of treasured family memories. Now that I have a family of my own, each vacation holds an even bigger place in my heart. I’ve learned so much about the various amenities and services Disney has to offer that I want to share them with you so that we can make your Disney adventure special and of course, magical. Together we can take the stress out of your vacation planning by assisting you with your selection of a resort of choice, reserving fast passes on the best rides, getting you that amazing dining reservation or ensuring you meet your favorite characters and Princesses. Have a family member with special needs? 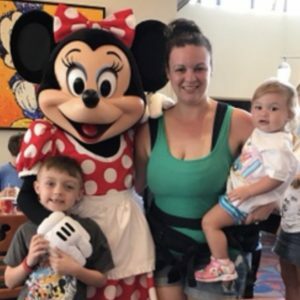 I can share with you all of the services Disney has to offer (along with some tips I’ve learned over the years) to ensure everyone has a great time. Se Habla Espanol! Miska Mooska Mickey Mouse! Hi everybody, if you are like my family and excited for another adventure, we want to help you maximize your journey. Whether it’s a pirate’s life for you or a princess fairytale with a happily ever after at the end, we can help you make it happen. Under the sea or in the Castle we know the ins and outs of Disney and other vacation hot spots. Not only have we been to Disney many times, we have family who worked for Disney at the Park and the Disney Cruise Line in Kissimmee. We are also Crown Members with Royal Caribbean and we have a family member who works with Princess Cruise Line in Alaska. We love Disney so much we named our Golden Retriever Sven from the movie Frozen. So if you are like us and you have a princess and pirate or reindeer (dog) you want to spoil, we will help you make their dreams come true. My Cinderella and I work hard for our family to be able to enjoy life and we know you do too, so we will help you maximize the most on your trip. So instead of saying Hi Ho it’s off to work I go, you’ll be saying HI HO! HI HO! IT’S OFF TO DISNEY I GO! or where ever it is you choose to go on your next adventure. Let the Magic’s Yours Travel take all the fears away and the excitement begin. I’m so happy to be a member of The Magic’s Yours Team! 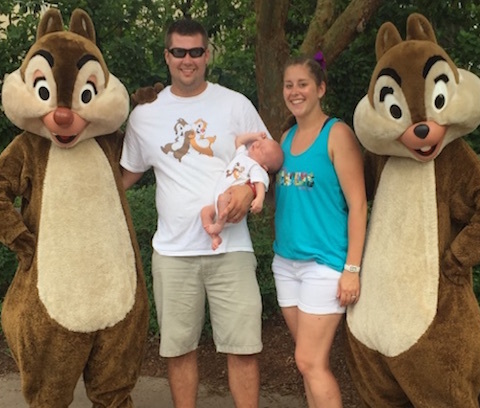 I love all things Disney and would be happy to help your family plan a magical vacation! I’ve been traveling to Disney since I was a child and now enjoy taking my own family. I’ve stayed in Disney resorts at every level and eaten at many of the popular and “hidden gem” restaurants. I can listen to what your family wants out of your vacation and then help you to find that within the World. Whether you are looking for a once-in-a-lifetime vacation for an extended family or a quick couples weekend getaway, I can help you plan a stress-free experience. I am also a Certified Autism Travel Professional who can provide an extra layer of support to families traveling with children with special needs. Contact me to talk about how we can create some Magic for your family! Hello I am Cheryl a mother of a prince and princess, I reside in Concord New Hampshire. I love planning my own personal vacations and would love the opportunity to help start planning yours. With my family we have stayed in many of Disney resorts, have gone with and without the meal plans and love the Memory maker. I have also participated in the Castaway 5K during a Disney Cruise. My main goal is to help as many people experience a stress free way to plan their vacation. Whether it be within a Disney Park, Disney Cruise, Disney’s Aulani or even with a trip through Adventures by Disney, Universal Park. We can work together to see what your vacation goals and dreams are and how we can achieve the best possible experience for you. 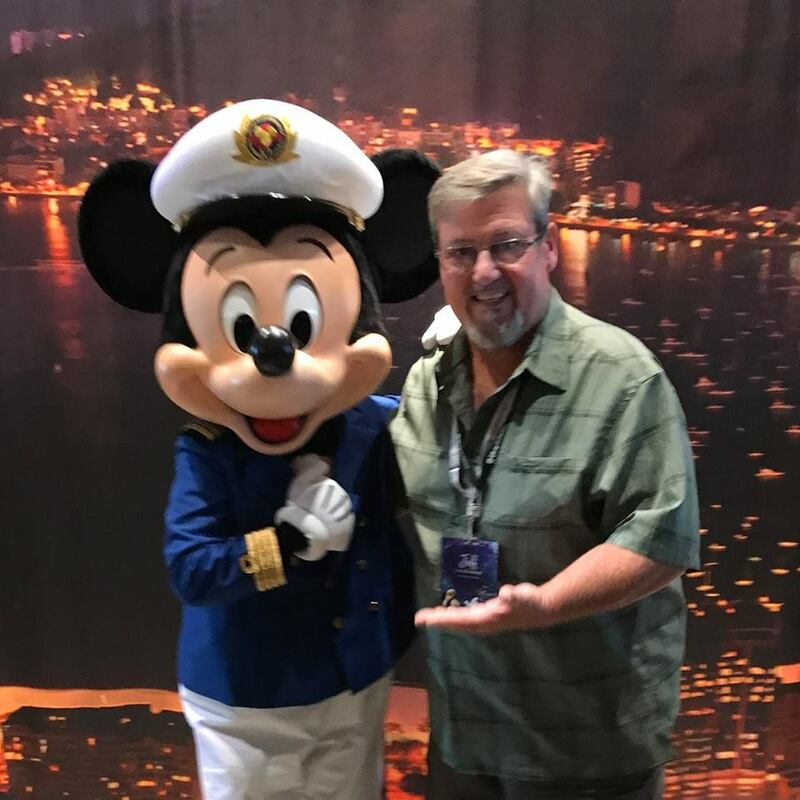 With my assistance we can make sure you get the resort of your dreams, the best dining for your family, all the top rides for fast passes, and character meetings your heart desires. I am a recent graduate of the College of Disney Knowledge and also Universal Studios Specialist. That means I have all the latest information and tools to help you plan your trips. Give me a call, or email me to start planning your amazing vacation now. Hi there, My name is Jessy Hamilton, and I believe in magic! Now, I’m not talking about pick a card kinds of magic( though that’s fun too). I’m talking about the magic that happens when you see a child’s eyes light up the first time they see Cinderella’s castle, or when a Harry Potter fan gets to taste their first butterbeer. My goal is to help as many people as I can experience that magic. 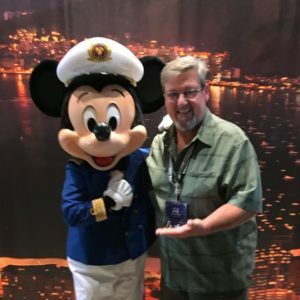 Whether that happens in a Disney park, Universal Park, on a Disney cruise, in the Hawaiian paradise at Aulani, or during a special trip with Adventures by Disney, I want to help make your vacation as magical as possible. I am a graduate of the College of Disney Knowledge, and a Disney news junkie, so I pride myself on being up to date with the very latest happenings in the Disney Universe. This means all that information, my deep love for planning, and my keen sense of organization can be used to make sure that your trip stands out as a once in a lifetime experience. Give me a call, or send an email to start planning your amazing vacation now, and remember, adventure is out there! Did someone say Disney? I love Disney! Heck, I even named my dog Princess Aurora. Let me introduce myself. 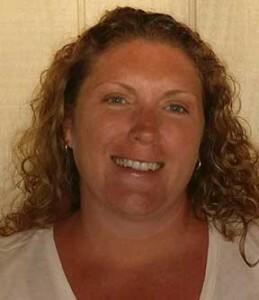 My name is Melissa Robinson. I am a wife, mom of 3, daughter, sister, friend and Disney fanatic. 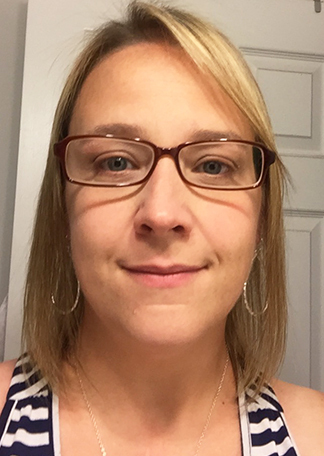 I spent 10 years as a Registered Nurse, before staying home to raise my children. During the wonderful years of raising my children, I became a runner. I combined my love of Disney and running with participating in 3 RunDisney events in recent years. They included Disney’s Princess Half Marathon, Disney’s Glass Slipper Challenge. The last being Disney’s Marathon 2016. 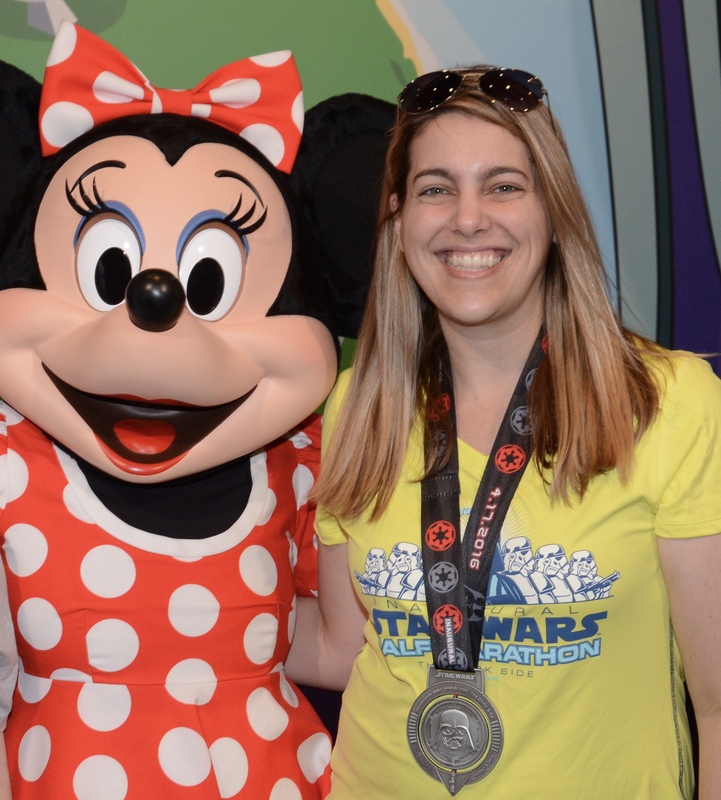 Participating in the RunDisney races gave me an even deeper love of Disney. In the last 5 years, I have been to Disney 5 times. Each time being magical in it’s own way. Every time I enter the Disney bubble, I can’t help but get teary eyed. Of those 5 magical visits, I have stayed at Value, Moderate and Deluxe resorts. My mom and I recently went November 2017 and stayed at the Grand Floridian Resort and Spa. We treated ourselves to Mickey’s Very Merry Christmas Party. Words cannot describe the combination of the magic of Disney and the Christmas season. We both were in complete awe. Let me share my love Disney with you as we plan your magical vacation. I can help with single, couples, family, multi-generational. I am here to make your dreams come true.